Please note that this petition can only be signed by vets and vet nurses - please add your qualifications after your name to verify your status. We, the undersigned veterinary professionals, call for urgent action to address the increasing number of health problems that we are seeing in our vet clinics. The health issues are due to the rapid increase in brachycephalic dogs and cats bred and sold in the UK. Brachycephaly is a man-made conformational disorder that impacts negatively on many body systems: respiratory, reproductive, thermoregulatory, neurological, ocular and orofacial. The consequences of the condition are often life-limiting and treating affected animals has become a growing part of every small-animal vet’s workload. 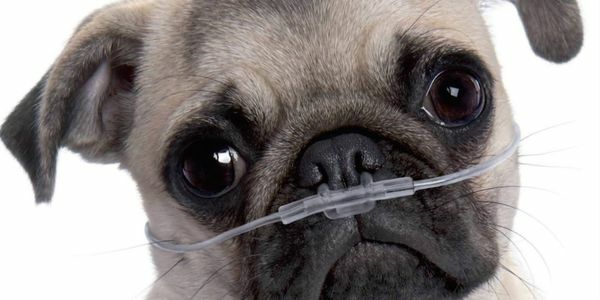 Despite the evident appeal of short-nosed pets to many of our clients, it is our duty as vets to not just treat these animals, but also to lobby for reform in the way they are bred – in particular the “extreme” brachycephalics such as Pugs, Bulldogs, French Bulldogs and flat-faced Persian cats. The Advisory Council on the Welfare Issues of Dog Breeding issued recommendations in their 2012 report, under a section titled "Breathing difficulty linked to head conformation" but veterinary clinics across the UK continue to see many patients suffering from problem linked to extreme brachycephaly. We are calling for urgent action to be taken now to deal with the consequential animal suffering. Thanks for signing the brachycephalic petition. Unfortunately all signatures that do not have qualifications in the name or comments will have to be deleted in the next few days. If you signed without posting your qualifications please could you take a few moments to submit them by following this link. We will then cross reference and ensure your signature is not removed. Thank you for signing the petition about brachycephalic dogs and cats.